At least 150 people are missing after a tragic collapsed of a dam in an iron-ore mine in southeast Brazil. The break caused a sea muddy as the red iron ore waste was released down stream raising fear of contamination to the sea. Many of the missing are the workers who were having lunch in dam's cafeteria which was buried by mud. 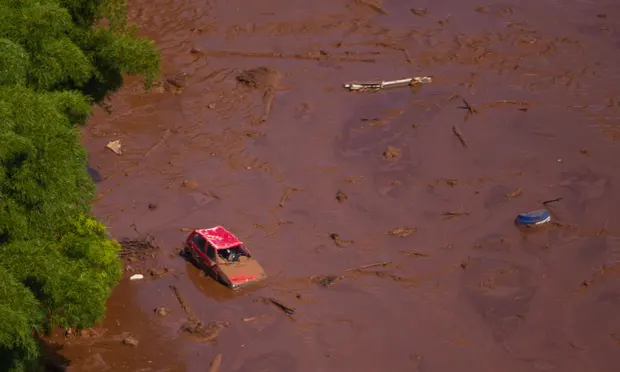 The incident comes just over three years since a dam burst in Minas Gerais which killed 19 people. The company said in a statement it had made 40 ambulance and a helicopter available for rescue work. It said the 86-metre-high (280ft) dam, built in 1976, held 11.7m liters of mining waste and had condition-of-stability declarations from an international company called TUV SUD. It was no longer in operation, was regularly inspected and was being decommissioned, was quoted in the report from theguardian. Fire official said that "there were several deaths". "The disappearance of approximately 200 people," he added. Hundreds of rescuers are now scrambling for the search and rescue operation to survivors and other bodies that have been buried from thick sludge.